Ontoawinner are delighted to add our first yearling of 2018 in the shape of this beautiful chesnut filly by the late sire – The Wow Signal. 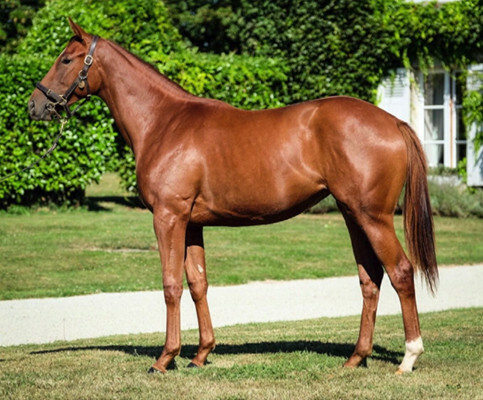 She was purchased at the recent Arqana yearling sales by the dream team of Archie & Blanford Bloodstock. This combination were also responsible for the purchases of our own Corinthia Knight, Quiet Endeavour & Quiet Waters and we are over the moon to secure this racey filly. The Wow Signal shot to prominence when winning the G2 Coventry S. at Royal Ascot for trainer John Quinn. 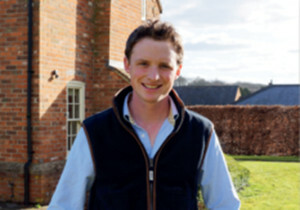 He confirmed his class when beating Hootenanny in the G1 Darley Prix Morny at Deauville on his next start, a performance which saw him crowned the champion 2-year-old in France that year. The Wow Signal’s pedigree made headlines late last year when his dam Muravka was sold to Barronstown Stud for €950,000 at the Goffs November Breeding Stock Sale. The dam – Imperial Topaz is by Dutch Art. She was unraced and this is her first foal. 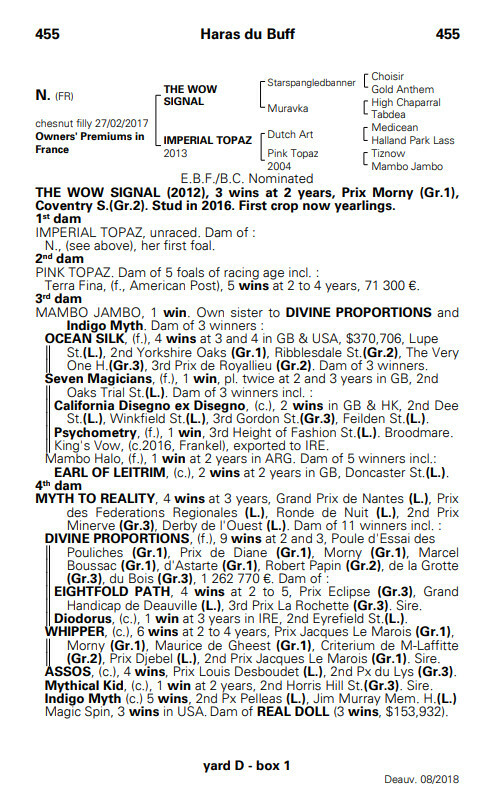 The grand dam – Pink Topaz is a dam of 5 foals of racing age, most notably Terra Fina who registered 5 wins between 2 & 4 years of age, amassing 70k in prize money. Ours is a racey filly, with an athletic walk and a great attitude. She is a Febuary foal, looks quick, and should be early. For anyone looking to get into an early type for next year, get in touch to avoid disappointment.